DETROIT, Michigan, January 12, 2016 (ENS) – More than 50 international automotive journalists have named the Honda Civic and the Volvo XC90 hybrid SUV the official 2016 North American Car and Truck/Utility of the Year at the North American International Auto Show at Cobo Hall in Detroit. “The all-new Civic was developed and is built in North America, making this North American Car of the Year win even sweeter,” said Jeff Conrad, Honda Division senior vice president and general manager. “Civic is a cornerstone of the Honda lineup, and we’re delighted that the automotive press has recognized the new levels of styling, performance, advanced technology, safety and value that characterize the new Civic,” said Conrad. The North American Car of the Year Award is given by a group of 53 international automotive journalists. The award is unique because instead of being given by a single publication, radio or television station, it is given by automotive journalists from the United States and Canada. Presented each year at the press opening of the North American International Auto Show in Detroit, it recognizes the most outstanding car of the year based on factors including innovation, design, safety performance, handling, driver satisfaction and value. The 2016 Honda Civic comes standard with a 2.0-liter four-cylinder engine that makes 158 horsepower and a six-speed manual transmission. Higher-priced versions have a 174-horsepower, turbocharged 1.5-liter four-cylinder engine and an automatic transmission. The U.S. Environmental Protection Agency rates the 2016 Civic as 31/41 miles per gallon city/highway with the base engine and the automatic transmission, remarkable for a compact car. 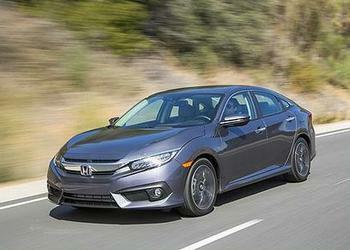 Turbocharged Civics get an EPA-estimated 31/42 mpg. With the addition of Honda Sensing™ safety and driver-assistive technologies and the Civic’s first use of Honda turbo engine technology, the 2016 Civic offers buyers a wide range of options. Vehicle development was led by Honda R&D Americas, Inc. and production of the Civic sedan and coupe will take place in the U.S. state of Indiana and in Ontario, Canada. The majority of Civics sold in the United States will be produced and assembled in the United States and Canada using domestic and globally sourced parts. The Civic 5-door, set to debut in the near future, will be produced at Honda’s Swindon Plant in the United Kingdom. 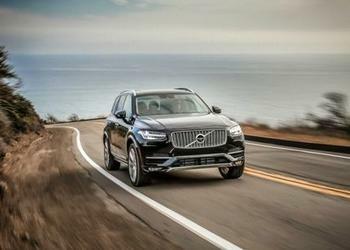 The Volvo XC90, a luxury SUV, comes with a twin engine plug-in hybrid powertrain. It is available in five or seven-passenger, front or all-wheel-drive configurations with 250 horsepower or 316 hp turbocharged and dual-charged engines that can deliver up to an EPA rated 25 miles per gallon. The XC90 also will be available with a 400-horsepower, 53 mpg equivalent hybrid electric powertrain, making it the world’s first seven passenger plug-in hybrid electric vehicle. Standard on the XC90 is the Volvo City Safety package. This includes Pedestrian Detection with Automatic Emergency Braking, which automatically applies the brakes when it senses that a collision is about to happen. Not standard, but available upon request, the Pilot Assist semi-autonomous driving system will control vehicle speed and direction at speeds up to 30 miles per hour. The North American International Auto Show, usually called the Detroit Auto Show, features over 750 vehicles and many interactive displays. It is open to the public from January 16 – 24 at Detroit’s Cobo Hall.